The Burger King Nightmare Burger is here and it is designed specifically to give you nightmares, according to the company, which pushes really hard to promote its brand during Halloween every year. In order to develop the pizza, the chain reportedly teamed up with Paramount Trials and Florida Sleep & Neuro Diagnostic Services, Inc., as well as Goldforest Inc. to take part in a study that took place over 10 nights and included 100 participants, Burger King said. The study saw doctors and scientists track the heart rate and brain activity of the subjects to see if they were having vivid dreams. 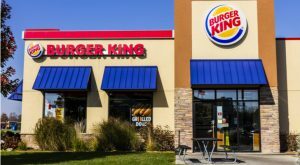 Article printed from InvestorPlace Media, https://investorplace.com/2018/10/burger-king-nightmare-burger/.